Life is energy. It is meant to flow through us, each time leaving us broader, richer and evolving us for having known it. When we experience more intensity than we can handle, we shut this process down and create blocks in the body. The Amrit Method of Yoga Body Psychology is designed to not only treat visible physical symptoms, but is aimed at addressing the invisible mental and emotional blocks that contribute to them. Using gravity supported, static poses held by the facilitator, or with the use of the wall or props, you will learn how to surface and release blockages held in body zones such as legs, buttocks, hamstrings, heart and shoulders. This rejuvenating and releasing experience enhances your understanding of the energetic aspects of yoga and how to use it for yourself and others as one of the most profound healing modalities you will ever encounter. Dr. Marie Bailey (Psy. 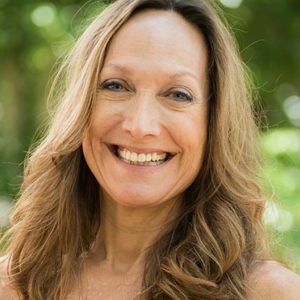 D., ERYT-500, C-IAYT) is a Senior Faculty member at the Amrit Yoga Institute in Salt Springs, Florida where she is a trainer in the Amrit Method of Yoga Therapy and Amrit Method Yoga Nidra Professional Trainings. She has a Doctorate in Clinical Psychology and spent many years in her first career as a psychologist. She holds every Amrit Method certification. A Yogi through and through, Marie fell in love with the Amrit Yoga Methods in 2009 when she first met Kamini Desai, Ph.D. and her father Yogi Amrit Desai. Marie is a practicing Yoga Therapist, a teacher, and lecturer. She currently resides in Jacksonville, Florida. Marie is the owner of Emotive Yoga Therapy in Jacksonville, FL. Her website is www.emotive.yoga.